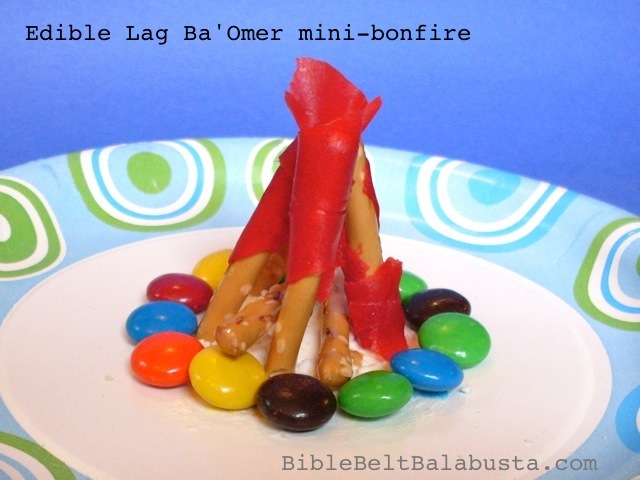 "Here’s a quick snack-tivity for Lag Ba’Omer, and believe me, I need quick. My Sunday classes are about 25 minutes each, including setup and cleanup, but this little project can bag one Lag Ba’Omer tradition in 5-10 minutes, tops. I like to teach using REAL stuff, but we can’t legally (or sanely) build a fire in the classroom, so I’m bringing rocks, tinder and sticks for one we won’t light. At least the students can see how to lay a real fire, and see one model by which to build a mini, edible version. "